The history of John Levique and the history of John’s Pass are linked by the legend naming John Levique as the first man to sail through the pass. According to the legend, a large storm rearranged the sands of the barrier islands, opening a new inlet to Boca Ciega Bay. The new inlet was subsequently named John’s Pass. The boardwalks, restaurants, and gift shops did not appear for another 150 years. The name John Levique is remembered, thanks to his discovery of the pass. Today, his name is used for one of the best celebrations you will find on the Florida Gulf Coast. John Levique was a turtle farmer, so you might wonder why the celebration is called ‘pirate days.’ Here on the Florida Gulf Coast, and especially in Tampa Bay, a true pirate history exists. The pirate theme, often invoked in this region, has been used to enhance the John Levique celebration. 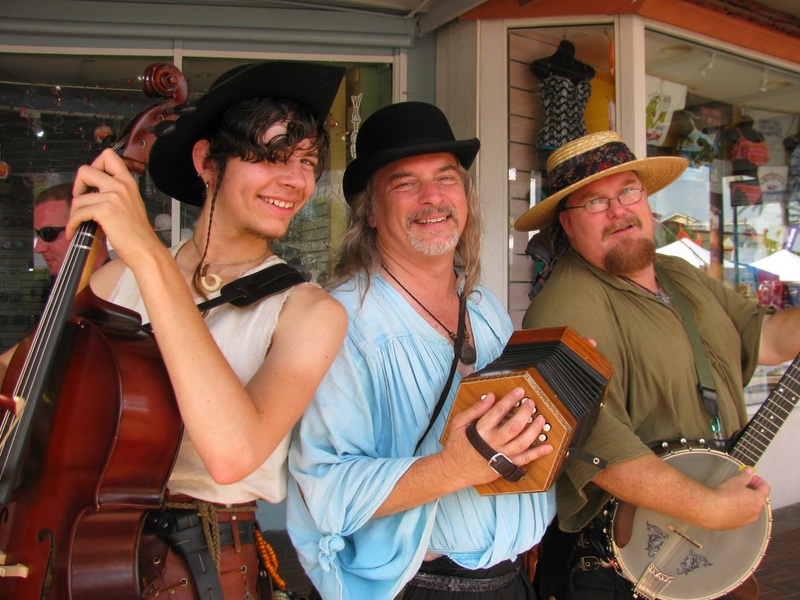 Once you’ve experienced the fun at the John Levique Pirate Days event, you will see that John Levique would probably not mind at all. 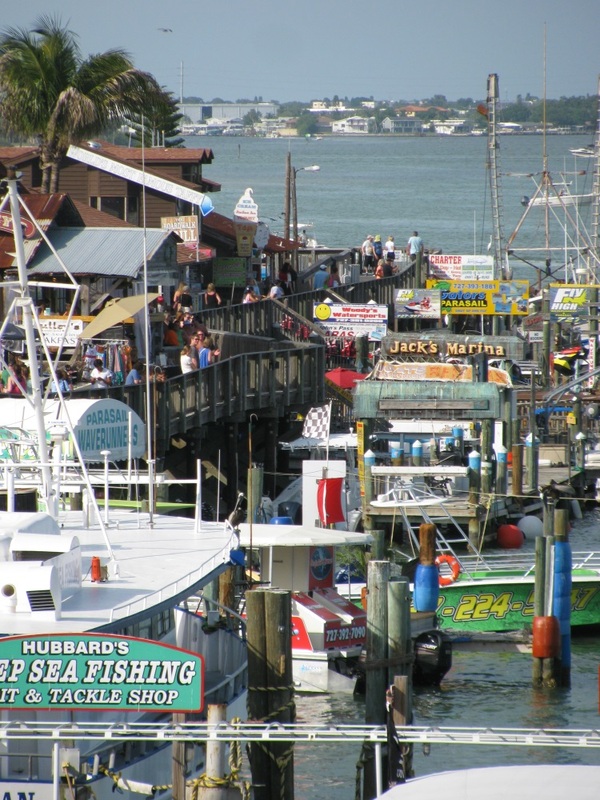 John’s Pass Village and Boardwalk is one of the best tourist stops on the Florida Gulf Coast. The small but popular shopping and restaurant district is lined with loads of souvenir shops and lots of great dining. John’s Pass is a fun diversion where you can spend hours walking from one interesting knickknack shop to the next. When you need to resupply your energy, you can choose from a number of unique restaurants, many of them on the waterfront. Seafood is popular at John’s Pass, thanks to the numerous fishing boats that use John’s Pass to reach the Gulf of Mexico. The boardwalks and sidewalks are fun to stroll, and when you are done with your dining, stop into a candy shop to finish off your day. You can find all of these things on an ordinary day at John’s Pass. During the John Levique Pirate Days celebration, that entertaining setting becomes a backdrop for much more. The John Levique Pirate Days event was on our roster of things to see this spring. This year it was held May 9th through 11th. The event took us by surprise. We expected a few pirates standing in the doorways and perhaps few kiosks- not by a long-shot. The entirety of John’s Pass Village and Boardwalk had been transformed in to one giant event. The street was filled with tents and kiosks selling everything imaginable, much of it pirate themed. Instead of a parking lot we found a large tent where the musicians and dancers performed, along with lots of tables for dining. The other side of the parking lot was the food court, with banquet style vending stalls selling mouthwatering food. 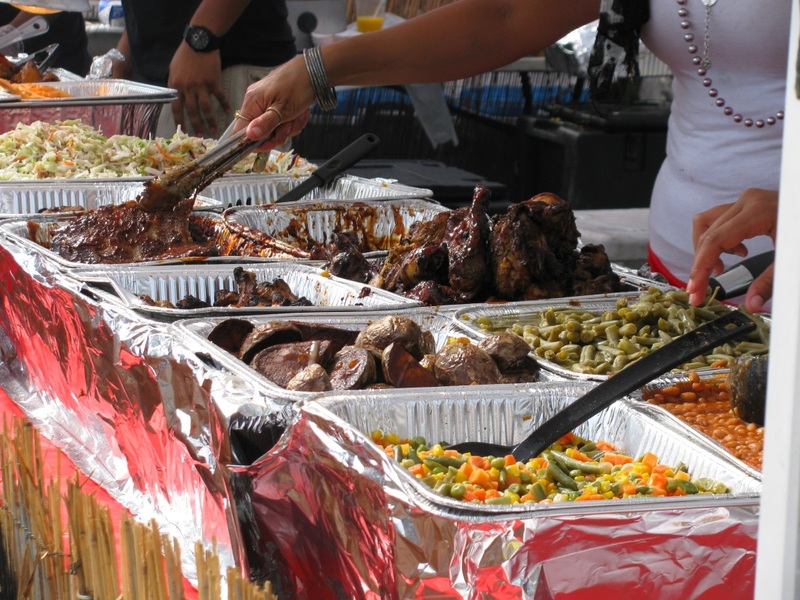 Amid the lively setup strolled a large number of attendees, enjoying shops, vending tents, the shows, and the food. However, all of those things together were still not the best surprise. 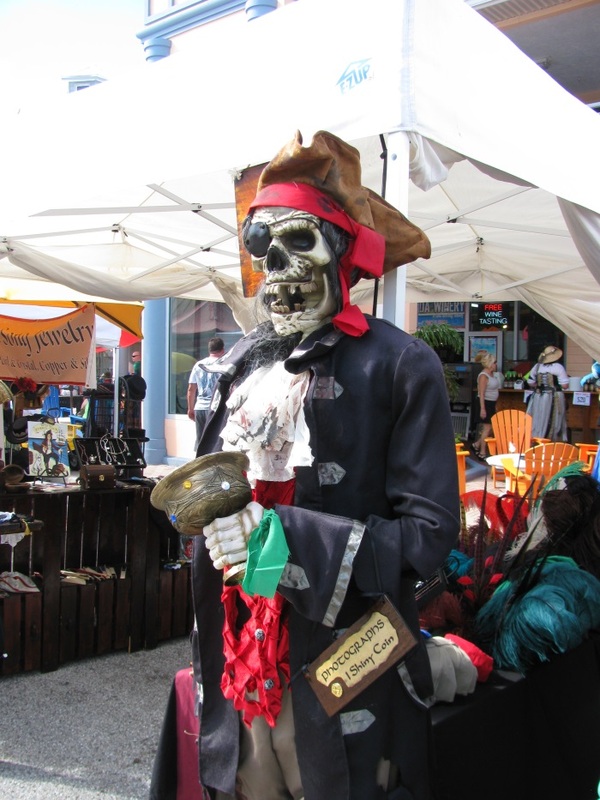 We found no mere dozen pirates at the John Levique Pirate Days event, but rather the streets were filled with them. The pirates had erected tents to mock up how original pirates had camped on the shores of the Gulf Coast. 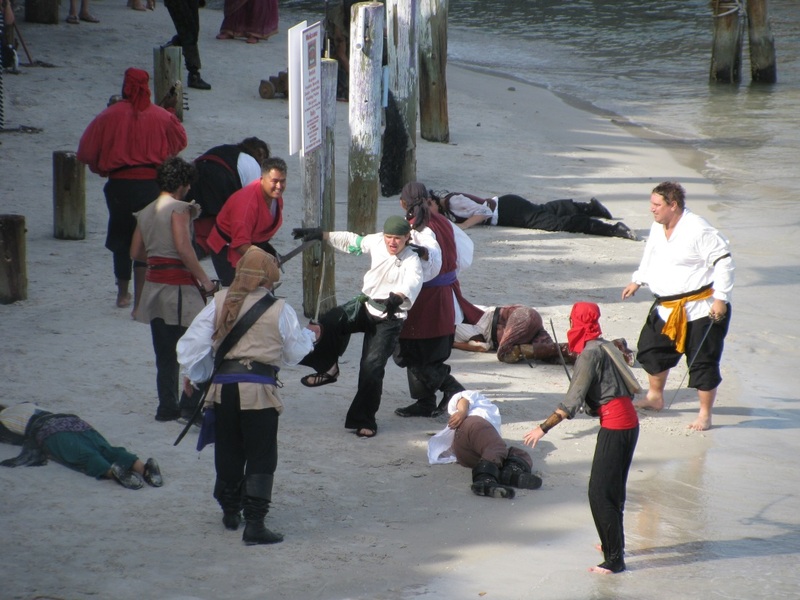 Tons of professional pirate actors roamed the streets along with a number of enthusiasts. Aside from the pirate encampment, we found a pirate wrestling ring, a mechanical bull, a tropical bar, a hula hoop contest and an inflatable slide for the kids, and roaming musicians. Lastly came the large pirate show down at the waterfront of John’s Pass. On the sandy shore, amid the older pylons, some 50 to 60 pirates put on a mock battle. The battle included walking the plank, musket fire, sword fights, and, our personal favorite, ‘death by mermaid,’ which consisted of throwing convicted pirates to the trio of mermaids waiting just off shore. The mayhem lasted for a good five minutes, all under the thunderous explosions from cannons set on the shore. 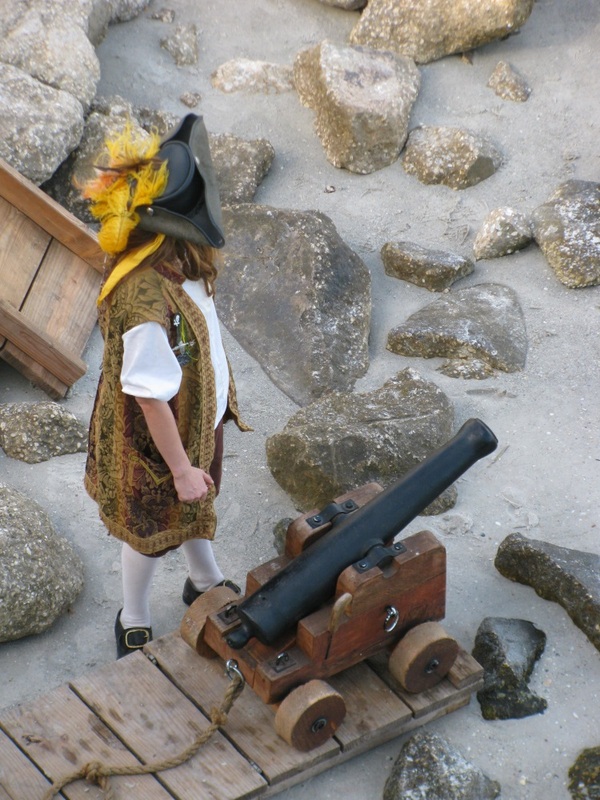 Watching from the drawbridge between Madeira Beach and Treasure Island, the handrails under our palms trembled from the shock wave of the cannon fire. Spectators lined the John’s Pass boardwalk to watch the show, many of them dressed in pirate costumes themselves. 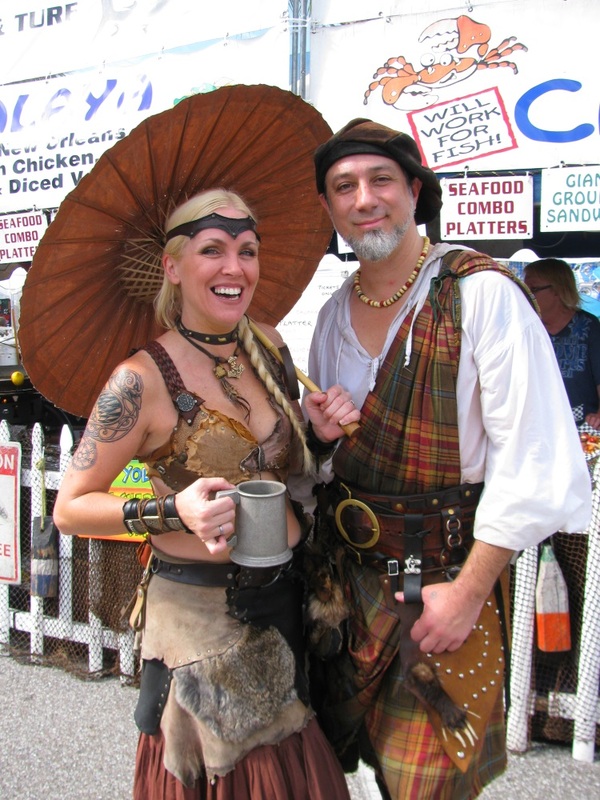 After our visit to the John Levique Pirate Days celebration, we definitely recommend it to visitors to the Florida Gulf Coast. The event was a lot of fun and definitely lived up to its name. There were pirates galore, lots of in-theme trinkets and souvenirs to purchase, good music shows, and fantastic food. The pirate battle topped off the event with a performance that brought the theme to life. The event has earned a place on our list of celebrations to visit year after year. 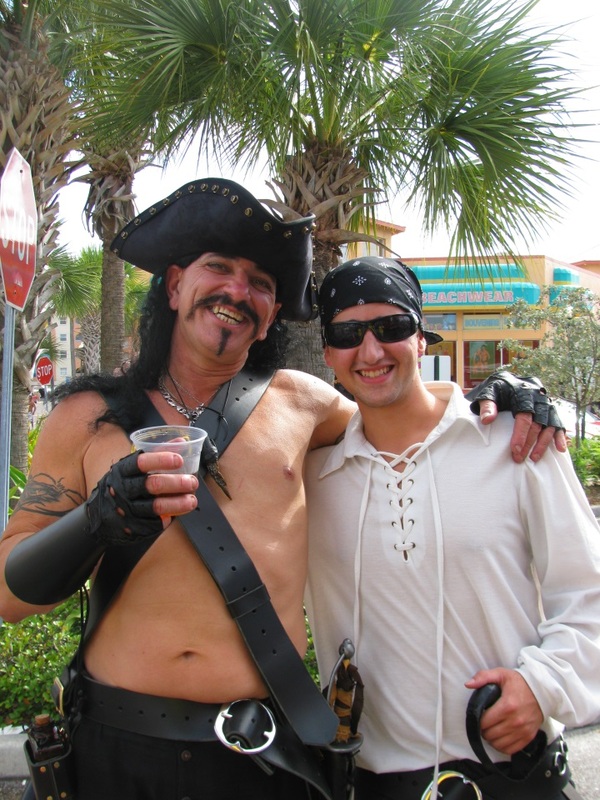 1 Comment on "Fun Times at John Levique Pirate Days"